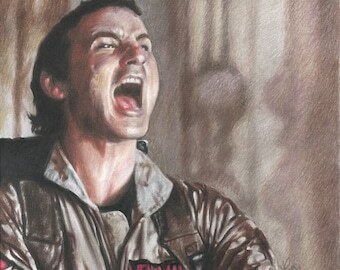 NOTE: "JohnDiBiase.com" watermark will NOT be on the print! It's just here to combat my drawings being stolen online. 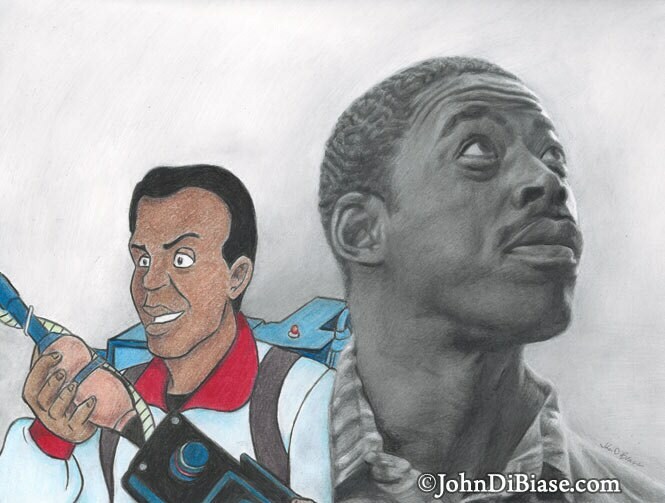 Pencil / Colored Pencil drawing of Ernie Hudson as Winston Zeddemore in Ghostbusters with his animated counterpart from The Real Ghostbusters . This listing is for a PRINT of the original drawing. Drawing print will be hand-signed and can be even dedicated to a specific name upon request. The artwork will fits in an 8.5 x 11 space.